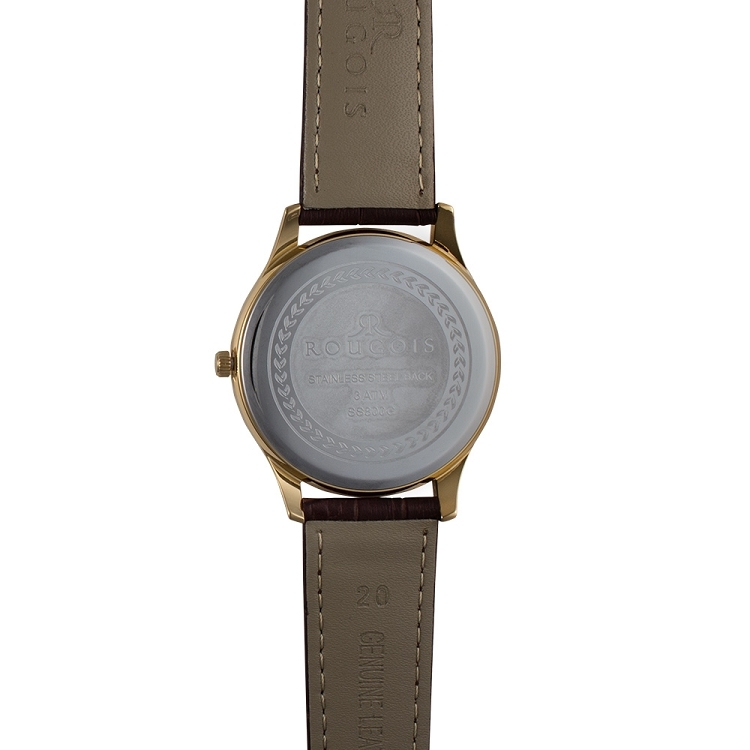 With a classic-style face, this gold tone accented round watch is perfect for any occasion. 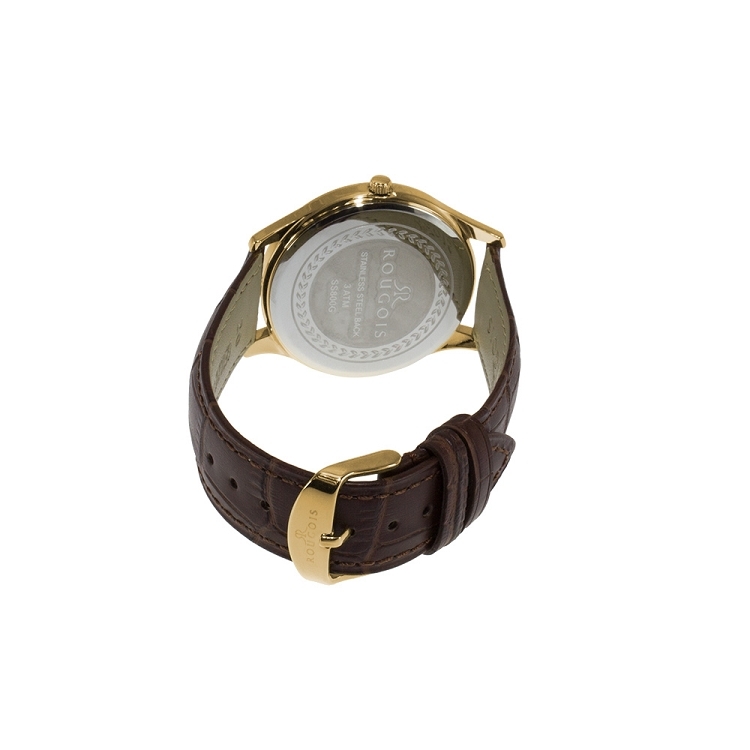 A brown alligator leather wristband emphasizes the stainless steel gold tone case and white face. 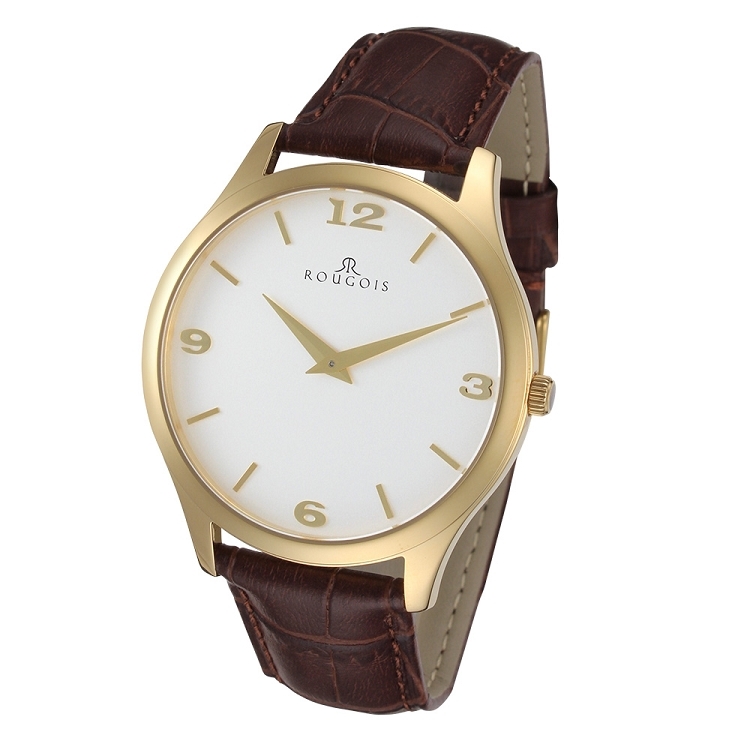 The white dial heightens this timeless look with gold-tone modern font numbers and hands. With such an ageless look, this watch is perfect for everyday wear. 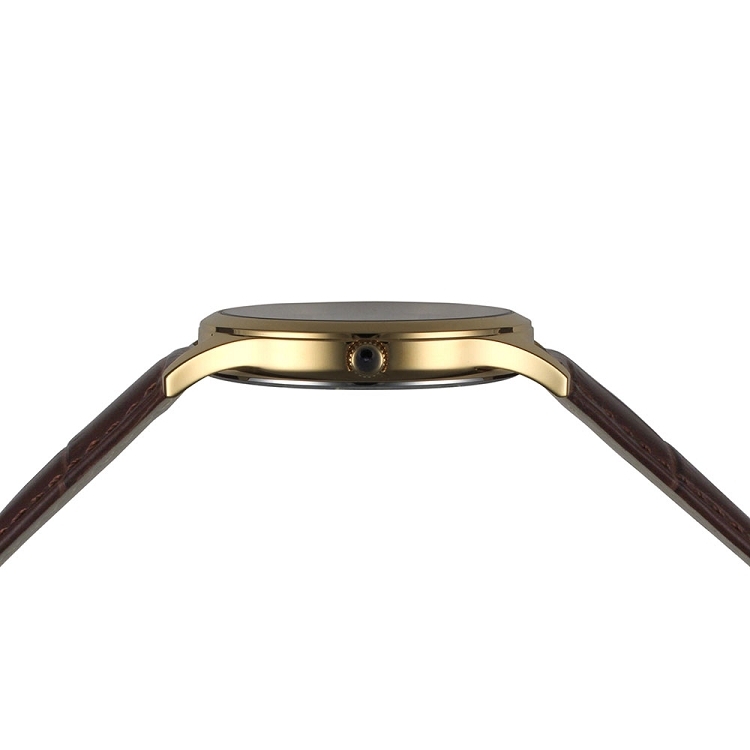 Whether you are at the park or in the office, this elegant timepiece will enhance your look and keep you on schedule.